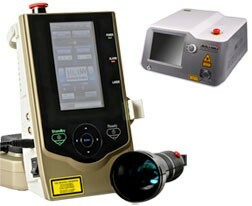 Avicenna Laser Technology Inc., one of the originators of Class IV Laser Therapy, introduces a suite of laser platforms to meet every doctor’s budget and outcome expectation. Avicenna’s laser has long been recognized as the one of the industry’s best performers, but for many practitioners the cost was prohibitive. 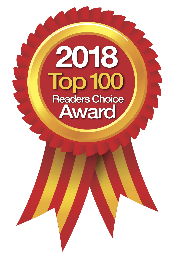 Avicenna recognized this feedback from the chiropractic industry and developed a line of affordable lasers that also delivered excellent patient outcomes. Avicenna’s 10-watt laser platform is their introductory model. This device puts out 10 watts of continuous or pulsed wave laser energy and is still one of the most powerful single wave lasers on the market. The next laser platform starts at 15 watts and goes as high as 30 watts. These devices can also operate on a continuous or pulsed output mode, and the 15-watt and 20-watt models can be upgraded to the 30-watt platform at any time. These devices put out a considerable amount of laser energy, and are used to treat some of the toughest neuro-musculoskeletal pathologies that confront today’s chiropractors. Conditions such as peripheral neuropathy, spinal stenosis and failed back surgery, just to name a few, all respond very well to the Avicenna laser treatment. Now, with first-class clinical training and marketing support packages, chiropractors can hit the ground running. Excellent leasing packages with 90-days-delayed billing allow the clinician to quickly become cash-flow-positive. To learn more, call 888-Avi-Laser or contact the company at info@avicennalaser.com.